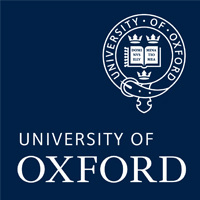 The Centre for Tropical Medicine and Global Health of the University of Oxford is a world leading Centre within the Nuffield Department of Clinical Medicine, comprising research groups who are permanently based in Africa and Asia as well as across two sites in Oxford. Its research ranges from clinical studies to behavioral sciences, with capacity building integral to all of its activities. A small operational team of the Centre manages the Global Health Network, which aims to accelerate and streamline research through an innovative digital platform. The platform provides free, neutral web spaces to create communities of practice in which researchers and practitioners can find and share projects and resources. The second aim of the network is to deliver capacity development. This goal is pursued providing online training and workshops, discussion topics, information and guidance on how to obtain high quality and standardized information for health workers, laboratory staff and researchers globally.